The round sling is the answer to all of your lighter lifting needs. They’re a great tool to have in any industry, because they’re light, soft, and versatile. This means you can move them around with little hassle and without damage to the item being lifted. 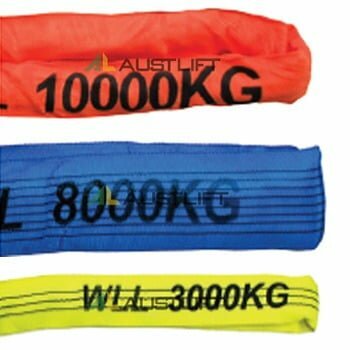 All About Lifting & Safety has a wide range of round slings to fit whatever purpose you have in mind. All of our products have a high strength-to-weight ratio and can handle a range of lifting different styles, meaning that we’ve got the answer to several of your lifting needs in just one product. 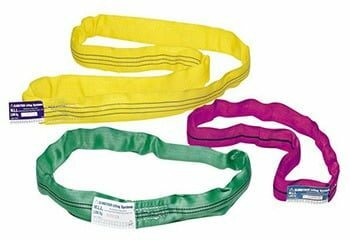 There are many different types and sizes of round sling available. At All About Lifting & Safety, we have a wide variety of industry-leading choices for you to choose from. At All About Lifting, our experts always put the safety of your personnel and equipment at the forefront of everything we do. Check your product comes with a test certificate. At All About Lifting & Safety, we have many years of expertise in helping you to choose the right round sling for your safety needs. From experience, we know the type and style of sling you’ll need, as well as any necessary attachments, to ensure your staff and equipment remain out of harm’s way. Contact us today for all of your lifting and safety equipment needs.